Is There Such a Thing as Effective Organic Weed Control in Lawns? What’s the Best Method for Managing Broadleaf Weed Control? What’s the Best Lawn Weed Control That Won’t Kill My Grass? Is There Such a Thing as Pet Safe Liquid Lawn Fertilizer? Is Zoysia Grass Weed Control Just Wishful Thinking? Can You Use Weed Killer for Bermuda Grass Without Killing Your Lawn? What Should Be Included When You’re Paying for Professional Yard Services? Is There a Good, Better, and Best Weed Control For My Yard? Winter Lawn Care: What Should I Be Doing during the Winter Months? Herbicide and Fungicide: Which One Do I Apply, and When? What Can a Lawn Maintenance Company Tell You about Winter Lawn? What is Fall Overseeding of a Lawn and Why Is It Important? What Is Pre-emergence Weed Control and When to Use It? Is It Too Early to Worry about Bermuda Weed Control? Why Do I Need Lawn Service when My Lawn Is Dormant? Is Fall Perimeter Pest Control Important in the Winter Months? Should Fungicide Application Be Part of My Lawn Maintenance Treatment? 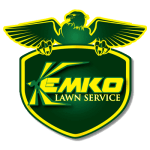 Does Perimeter Pest Control Services Affect the Rest of the Lawn? What Is Post Emergent Weed Control and Why Should I Care? What’s the Best Weed Control for My Yard This Summer? Is It Too Early to Consider Lawn Treatment Services for Insects? What’s the Best Time of Year for Lawn Fungicide Application? What’s the Big Deal About Perimeter Lawn Pest Control?